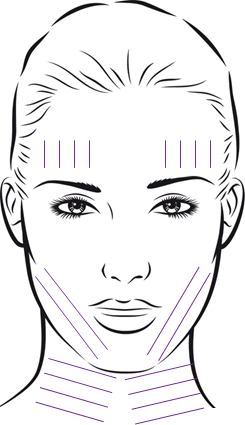 A thread facelift, also known as ‘lunchtime facelift’ or non-surgical facelift, is a subtle facial rejuvenating treatment using threads to reduce sagging around the cheeks, jawline and neck. This procedure has less risk than invasive surgical solutions, although in terms of expectation, this convenient alternative will not give you the results of the full surgical facelift. A minimally-invasive treatment delivering rejuvenation without the pain and down time of surgery. 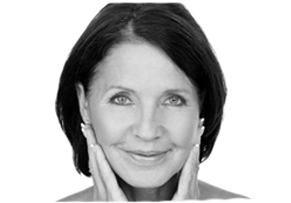 Changes Clinic offers you leading thread facial procedures carried out by experienced doctors. Changes Clinic clinician, Dr Vincent Wong has been the lead trainer for Silhouette Soft for over 3 years and now holds Ambassador status with the brand. Changes lead doctor, Dr Aarti Denning, has treated many patients of Changes Clinic with beautiful results since 2013. Rest assured that you are in safe and experienced hands when you’re being treated here! The thread is inserted and orientated to oppose the natural force of gravity which causes line creation and skin weakness. Depending on the area of treatment a single thread may be inserted or maybe multiple threads. Ultimately the aim is twofold: to create lift and volume, and increase collagen stimulation thereby improving tone and elasticity. After a small local anaesthetic the doctor inserts the suture (thread) under the skin to a depth of about 3 to 5 mm, through the top layer (epidermis), through the dermis, subcutaneous tissue, the collagen and stops just passed the fibroblasts. It is then pushed beneath the skin upwards to an exit point. The thread is pulled taught at both ends so that the cones are bedded into the subcutaneous fat lifting the tissue upwards. Threads have the benefit of offering joint actions: a lift effect for discreet results and, a regenerative effect by stimulating collagen for progressive and natural results. At Changes you have a choice of threads. The first: Silhouette Soft, is made from polylactic acid. This polymer has been known and used in the medical field for many years. The second type of thread used at Changes is known as PDO (polydioxanone), a material which has been used for many years in plastic surgery and other surgical procedures. Made from a strong synthetic monofilament fibre consisting of one or two twisted strands, it dissolves in the tissue after time. Both polylactic acid and polydioxanone are materials which are easily absorbed by the body over time and have been used in surgery for many years. Commonly threads are used on the brow, lower face, jowl and neck area however they can also be used in volume on arms, breasts and inner thighs. Are all threads the same and designed to give lifting? There are a variety of thread sizes, with and without barbs or cones. The basic concept is to create a tiny amount of new collagen around each thread which in turn increases volume, improves tone, and increases elasticity. In combination these three benefits result in skin lift. No special preparation is required prior to treatment however we recommend that you discuss your expectations and any questions during the consultation with our doctor. We would also need to discuss and be informed of any medication you are currently taking. The procedure is relatively short. It is known as the lunchtime facelift, however realistically it can take 60 to 90 minutes including preparation and treatment. As with any cosmetic treatment, some slight swelling, redness or bruising may occur but these disappear within days. Then there may be a slight wrinkling of the skin which disappears quickly. In the week following treatments it is advisable not to carry out any contact sports and preferably to sleep on your back. The results can be instant and long-lasting. Threads are absorbed within 3 to 6 months although the effects of treatment lasts 2-3 years. Every face is unique with differing needs. We may advise thread use in a matrix affect. In this scenario the threads would not contain barbs or cones but would be inserted to criss-cross the skin. You may simply require threads with cones or barbs for a lift in a specific area, OR a combination of both! Our doctors will advise for optimum results, give you an idea of outcome, advise you on price and the decision is up to you! In line with Changes Clinic’s ethos for patient understanding and awareness of procedure, no treatment will be carried out without a full and detailed consultation.